Avengers: Endgame's New Trailer Clocks 268 Million Views In Its First 24 Hrs But Fails To Beat The Record Set By It's First Teaser Trailer! 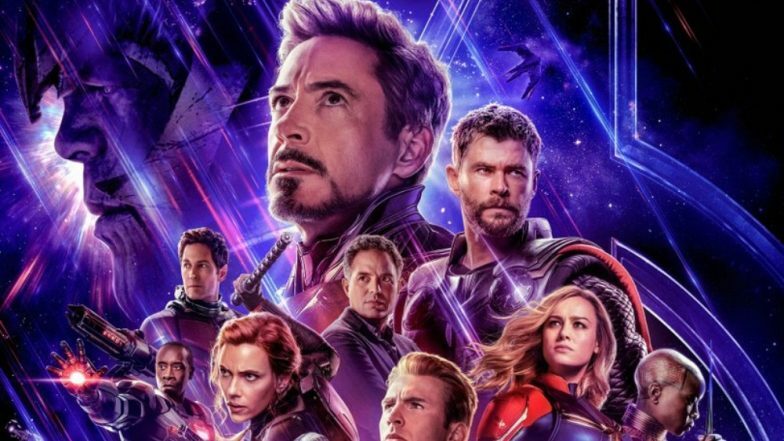 Avengers: Endgame is breaking all kinds of records with its new trailer, except surpassing its previous trailer! Ever since Marvel dropped the new trailer on Thursday, fans have gone bonkers. There have been multiple rewatches as it has given fans a chance to theorise the innumerable possibilities of what could happen in the upcoming final Avengers film. All that seems to have resulted in the trailer raking in pretty good views. Avengers: Endgame has managed to receive 268 million views in its first 24 hours! Isn't that some kind of record-setter? Well, apparently not! Endgame's trailer might have received 268 million views in its first 24 hours but it still hasn't managed to surpass the previous record set by itself! The first Endgame teaser trailer with a lonesome Tony Stark stuck in a spaceship with Nebula has clocked in more views, 289 million to be precise, making it the highest all-time viewed trailer in the 24 hours since their release! Considering how it was the first teaser trailer released by Marvel, fans were far too excited and did their best to figure out whatever they could that would give them the satisfaction of curating the right fan theory. Avengers: Endgame is set to release on April 26, 2019. Perhaps a third trailer is to be released by Marvel ahead of the film's release. The ensemble cast stars Robert Downey Jr., Chris Hemsworth, Mark Ruffalo, Chris Evans, Scarlett Johansson, Benedict Cumberbatch, Don Cheadle, Danai Gurira, Josh Brolin, Bradley Cooper, Jeremy Renner, Paul Rudd, Karen Gillan, Brie Larson among many others. We cannot wait for the film to release as various questions need to be answered!